Milton Country Cottages is a multiple award-winning artistic rural retreat. 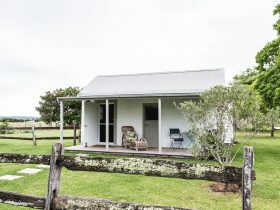 Four modern, architect-designed one and two bedroom self-contained cottages with high raked ceilings. 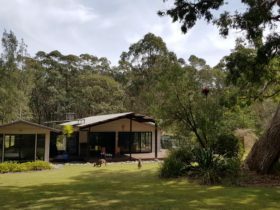 Set on 12 acres of native bush and gardens with plenty of native wildlife. Spacious, intimate and private. Earthy contemporary style with garden and bush views from every window. Spa baths, bathrobes and generous breakfast hampers. Massage and body treatments available by appointment. 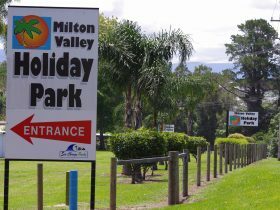 A tranquil place to relax and unwind but only a short drive to beaches, golf courses, great bush walks, cinemas and the historic village of Milton with its interesting shops and cafes. 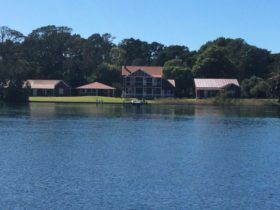 The only accommodation on the South Coast with an on-site pottery workshop and gallery. The pottery specialises in crystal glazes and porcelain clays. The garden and cottages are full of furniture, hand basins, and art work made on site. One bedroom, architect designed, purpose built, fully self-contained cottage with double spa bath and cosy slow combustion wood fire. High raked ceilings, and stunning garden and bush views from every room. Very peaceful and private. Leather lounge. Spacious, sunny, north-east facing covered veranda with relaxing day bed, and gas barbecue. 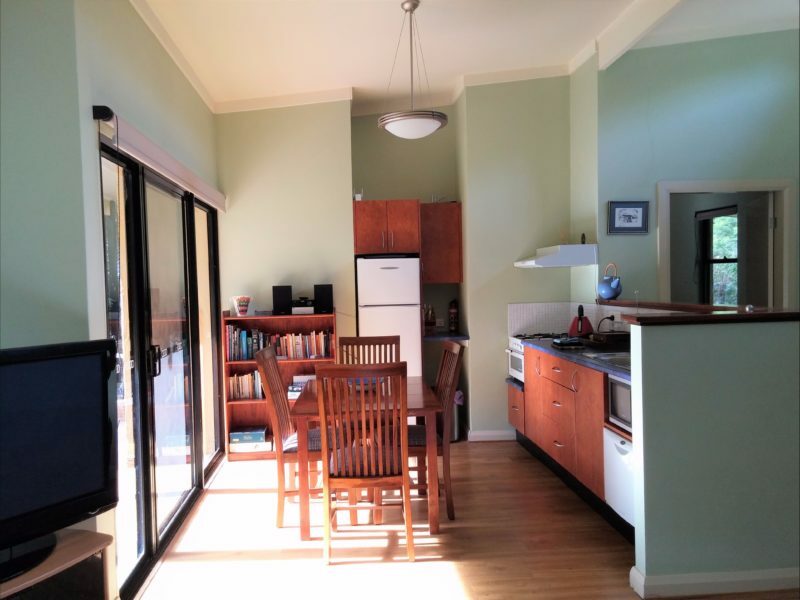 Full kitchen with dishwasher and full height refrigerator. Level under cover access from carport into cottage. Ceiling fans, reverse-cycle air-conditioning, electric blankets, bathrobes, slippers, quality guest amenities, complimentary port, generous breakfast hampers. Abundant wildlife including kookaburras, parrots, wrens, honey-eaters, kangaroos, and wallabies. Pottery workshop and gallery. Lessons available. Massages and beauty treatments by appointment. One bedroom, architect designed, purpose built, fully self-contained cottage with double spa bath, and cosy slow combustion wood fire. 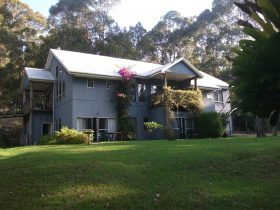 High raked ceilings and stunning garden and bush views from every room. Very peaceful and private. Leather lounge. Spacious two bedroom fully self-contained cottage with high raked ceilings. Architect designed and purpose built. Huge round spa bath in a separate building in the garden. 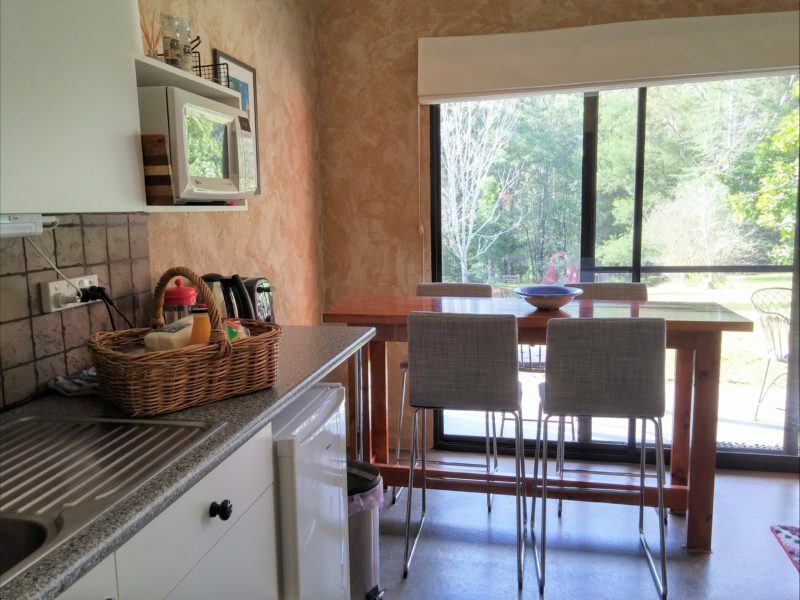 Views of the garden and/or tall gum trees from every room. Large, sunny, covered veranda with day bed, and gas barbecue. Ground floor undercover access from a double carport. 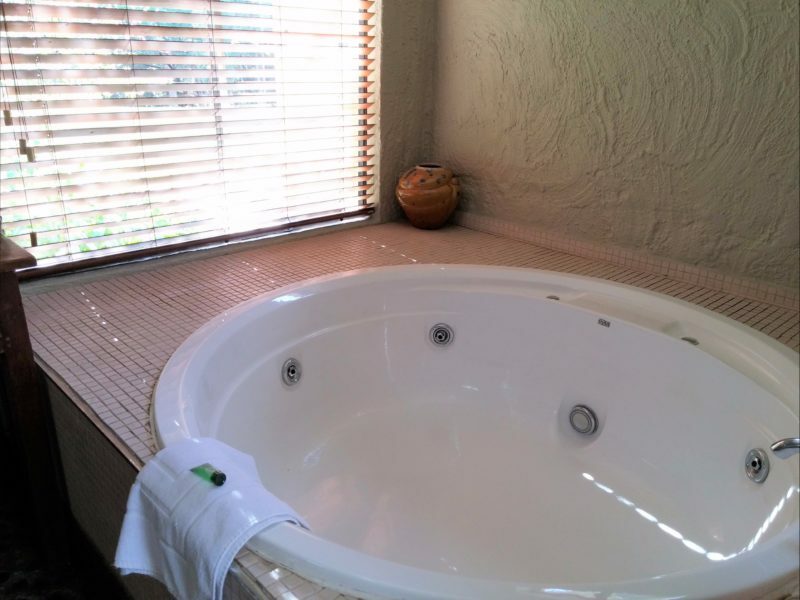 Huge bathroom, kitchen with dishwasher and full height refrigerator, remote controlled air-conditioning, ceiling fans, cosy slow-combustion wood fire, electric blankets, extensive DVD library, books, and games. Abundant wild life, including kookaburras, parrots, wrens, lyrebirds, kangaroos and wallabies. Generous, breakfast hamper, complimentary port, extensive movie library. Pottery workshop and gallery specialising in crystal glazes. Pottery lessons available. Massages and beauty treatments by appointment. Modern and spacious with two queen size bedrooms, each with an en suite bathroom. Beautiful garden views from every window and each bedroom has a sliding door onto its own veranda. 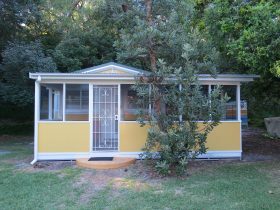 Kitchenette/living/dining area, large veranda with day bed and gas barbecue. Ceiling fans, remote controlled air-conditioning, electric blankets. Bedrooms separated by a hallway for privacy from each other. Generous breakfast provisions, complimentary port, bathrobes, slippers, and quality guest amenities, access to extensive movie library included. Abundant wildlife including kookaburras, wrens, parrots, kangaroos, and wallabies. Pottery lessons available. Massages and beauty treatments by appointment.